Here's All the Contact Info You Need for 401K! During Telephone Town Hall on 1/8/19 from Buffalo, many questions were asked how to access 401K account information, investment advice and online access. 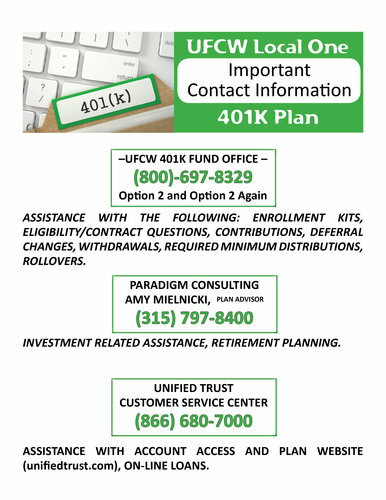 Here is all the contact information you need for the 401K Plan.